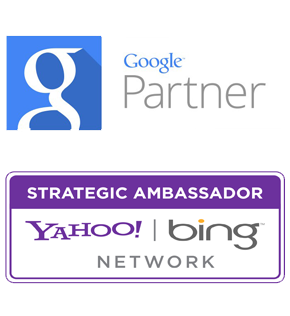 Google uses links from other sites in their ranking algorithm. The links of your website play a crucial role in the position that your page appears within search results. Never underestimate how important it is for your website’s links to be properly optimized. These links must be used in the proper way to ensure that search engines correctly index your pages. It is wise to take measures to optimize the links on your website. The navigation menu of your website plays a rather pivotal role. This menu affects all of your links because it appears on all the pages of your website. For example, if all of the pages link to your company profile using the “about” anchor text, it increases the likelihood that someone will click on the company profile when they type the phrase ‘about company name’ into a search engine. Know that linking your product pages to the top categories is a good strategy. These pages are often referred to as ‘breadcrumbs.’ Much like the name alludes to Hansel and Gretel’s breadcrumb trail, these product pages provide a trail back to the main portion of your website. It is also helpful to link your product pages to each other. Consumers might make multiple purchases, especially if the products are similar or if they would be used together. Always use anchor text with relevant keywords to like your pages to each other. Do not overlook the benefits of linking your category pages. Keep in mind that category pages are a useful tool. Category pages are typically ranked higher in a website’s structure than product pages. So with that in mind, link category pages to other category pages. Be sure to use anchor text that is dense with keywords. Make sure the keywords are relevant and are descriptive of the categories. Your blog is also important. Blogs that are dense with text and well maintained can be quite an asset to your website. A blog is a great opportunity to further introduce an audience to your products. But keep in mind that the most engaging blogs offer something that drives people to read them. A blog might teach readers how to use or do something or might provide inspiration or an interesting anecdote. If you can drive traffic to your site with your your content and keep readers coming back, you have won more than half of the colossal battle. For example, if a blog post addresses a product or category page, then the page needs to be linked within the blog post text. A smart use of keywords will serve you well. Try to use keywords for which you have high rankings. Otherwise, use anchor text that is an accurate description of the product or category page. You can also add the links below your blog post text if you can not work them into the content of the actual post. 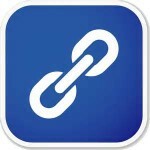 Optimizing the internal linking structure of your webpage helps to strengthen your website. This allows visitors to find the right page of your site quickly and efficiently.